He received his formal education at Fairburn Primary School, Otara Intermediate School and Otahuhu College, then at the University of Auckland in 1960, where he graduated in law in 1966. Lange worked from an early age and held a number of jobs. In the third form he performed a paper-round for the New Zealand Herald in Mangare East, and later changed from deliver-boy to collecting the money. The following year he delivered telegrams, before applying to work at the Westfield meat-freezing works in the role that would initially pay his way through university. The poor work conditions at the freezing works provided an opportunity to identify with the misery of fellow workers, and an appreciation for the impact of strikes on ordinary workers. In 1961 he started a job as a law clerk at Haigh, Charters and Carthy, a role that had varied work and clients, including the Communist Party. On 13 March 1967 Lange was admitted as a barrister and solicitor of the Supreme Court of New Zealand. On 3 August 1968, he married Naomi Crampton. He gained a Master of Laws in 1970 with first-class honours, specialising in criminal law and medico-legal issues. Lange practised law in Northland and Auckland for some years, often giving legal representation to the most dispossessed members of Auckland society – he assisted the Polynesian Panther Party (and, by extension, the Pacific Island community) to disseminate legal rights information and legal aid during the '70s Dawn Raids. Lange suffered all his life from obesity and the health problems it caused. By 1982 he weighed about 175 kilograms (27.6 st), and had surgery to staple his stomach in order to lose weight. He attributed his talents with oratory to the need to compensate for his clumsiness during his intermediate school days. 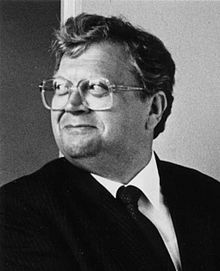 David Lange became known as the poster boy of the anti-nuclear movement in New Zealand. His government refused to allow nuclear capable ships into New Zealand waters, a policy that New Zealand continues to this day. In February 1985, Lange famously and provocatively rejected the arrival of the USS Buchanan, supported by a recommendation from the acting prime minister Geoffrey Palmer. The ship was not armed with nuclear weapons but was capable of carrying them. This displeased the United States: all intelligence flow to New Zealand was stopped and joint military exercises were cancelled. In 1985, there were 22 programmed exercises canceled or restructured, resulting in approximately 6,000 man-days of training being taken away. Lange inflamed the situation in 1987, when the Government passed the New Zealand Nuclear Free Zone, Disarmament, and Arms Control Act 1987. This Act effectively declared New Zealand a nuclear-free zone and banned all nuclear capable ships from entering New Zealand waters. 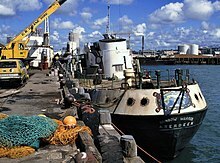 The United States regarded this legislation as a breach of treaty obligations under ANZUS and announced that it would suspend its treaty obligations to New Zealand until the re-admission of United States Navy ships to New Zealand ports, characterising New Zealand as "a friend, but not an ally". In 1989 Lange announced in a brief press statement on 10 November that he was separating from his wife of 21 years. On 12 November Naomi Lange named his speech-writer, Margaret Pope, as the other woman in a Sunday Times article, and said that she had been told by her husband five or six months ago that he planned to leave the marriage. Lange's mother Phoebe also publicly criticised him, but they later reconciled. He had three children, Roy, Emily, and Byron, with his first wife Naomi, and one daughter, Edith, with his second wife Margaret. Lange married Margaret in Glasgow on 12 January 1992 while holidaying in Britain.